The Half Full Chronicles: Over the Moon! We're all about outer space in room 52. 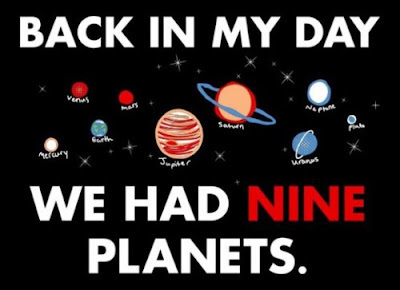 The planets, comets, meteors, the Moon, and everything else in between have absolutely positively taken over. I spotted this photo on Pinterest and tracked down the source to Beakers and Bumble Bees. From there, I began searching for how to make this work in our hallway. Then! I found Astro Society (click the link!) and it had a beautifully converted toilet paper chart. It lists approximate values for laying out planets and their distances from the Sun. This was a great visual for how far the planets really are from one another! The students were amazed when we were counting toilet paper down the hallway. Plus, we generated some curiosity from other classrooms. Can you see the asteroid belt? Last week, we went a little crazy chatting about the Moon and its phases. Now, if you know me... you would know that I will use any excuse to sing and dance. Naturally, when I found a few songs on the Moon Phases I KNEW I had to bring them to my classroom. This little number by Mr. Parr uses the tune from "Forget You" by Cee Lo Green. To say that my students love it is an understatement. I've listened to this song easily 20 times in the past week. I've had kiddos looking it up at home, too! Have a listen! Here's one more sung by some kiddos. Memorizing these phases can be daunting, but I decided to trick my students into learning them with oreos. Who wouldn't want to learn and eat at the same time? My 8:00 science class was PUMPED about eating oreos first thing in the morning. As I handed out four oreos to each students I heard one little one say, "My dad doesn't even let me have this many at home!" Before munching down their delicious phases, each student had to name each phase in order. See? A sneaky little trick don't you think? In other news... sorry 'bout your bad luck, Pluto. I love the moon phases with Oreos! Hey Jordan - my husband works at NASA if your class wants to visit with him by SKYPE - send me an email if that sounds tempting at gruenergang (at) sbcglobal.net! This is great! I am teaching solar system as our next science unit and can't wait to use these activities. Thanks for posting! It's funny, I always dread teaching my "Sun, Moon and Earth" unit, but it's fun teachers like you that have breathed life into it for me! LOVE these ideas!!! The solar system isn't really part of our fifth grade curriculum anymore, but I might steal some of these ideas to use during the last few weeks of school. Thanks for sharing your awesome ideas. http://www.astrosociety.org/edu/family/materials/toiletpaper.pdf There ya go future teachers! --Such a cute lesson plan! Hi there!! 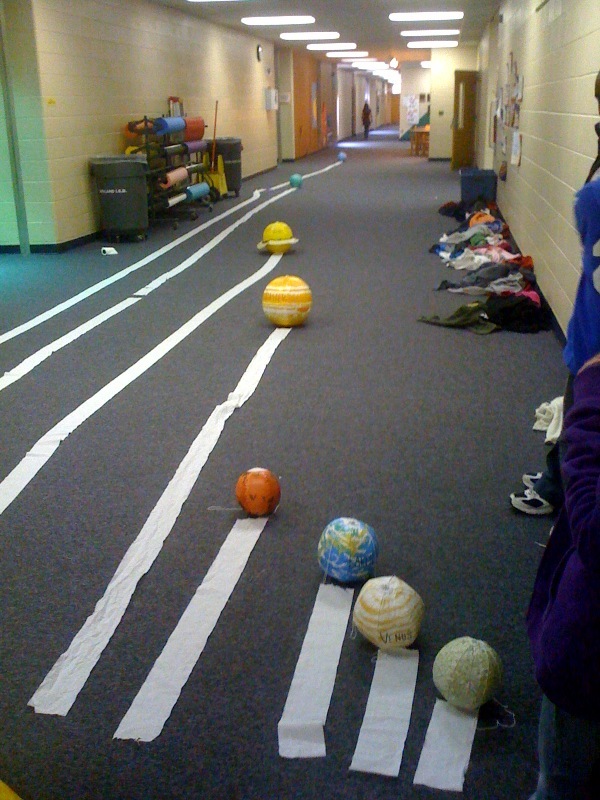 I'm now in the Solar System Unit with my kids and I was looking at the toilet paper idea that you had. I was wondering if you by chance have the new link to it. I clicked on the link that you had and it's not there anymore. I know it's been a few years... Thanks!!! To Seesaw or Not to Seesaw? It's nearly time to... VOTE! The Girl who Can't Cook. Toki Sio America! ...I'll see you later!